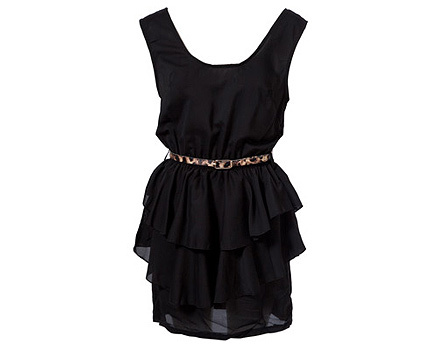 This black peplum chiffon dress with cut out back detailing is a must-have this summer. It is an ideal choice for everyday events as well as for nights out. Complete the look with a leopard print belt which is included.